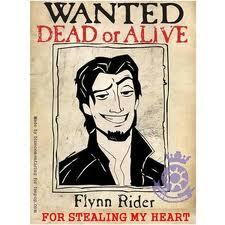 Flynn is wanted for stealing Rapunzel's coração XD. fg. Wallpaper and background images in the enrolados club tagged: flynn fan art tangled disney 2010. This enrolados fan art might contain anime, banda desenhada, manga, desenhos animados, mangá, and quadrinhos.